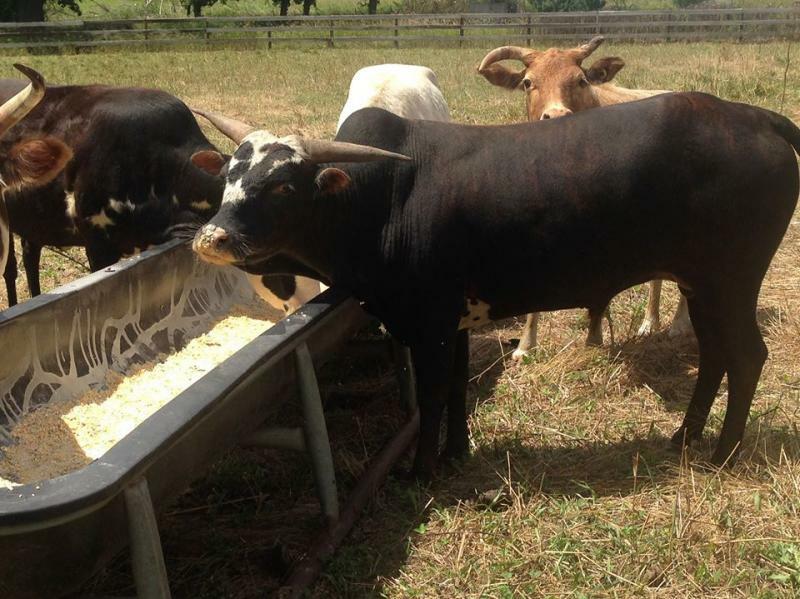 What good does it do to have a nice herd of miniature cattle if you don't have a great bull. We are always on the lookout for a small bull. While size is important, we also would like to have conformation and disposition in there too. Splash on some color and you have it made. Simple and easy....RIGHT!? Not hardly. 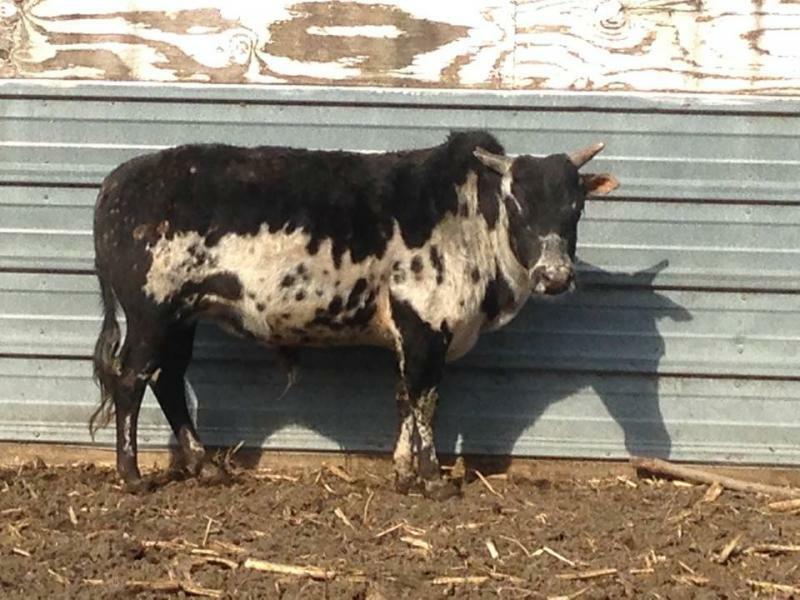 It seems like it is getting harder to find bulls we like better than the ones we already have. I know they are out there, everyone just hangs on to the good bulls. 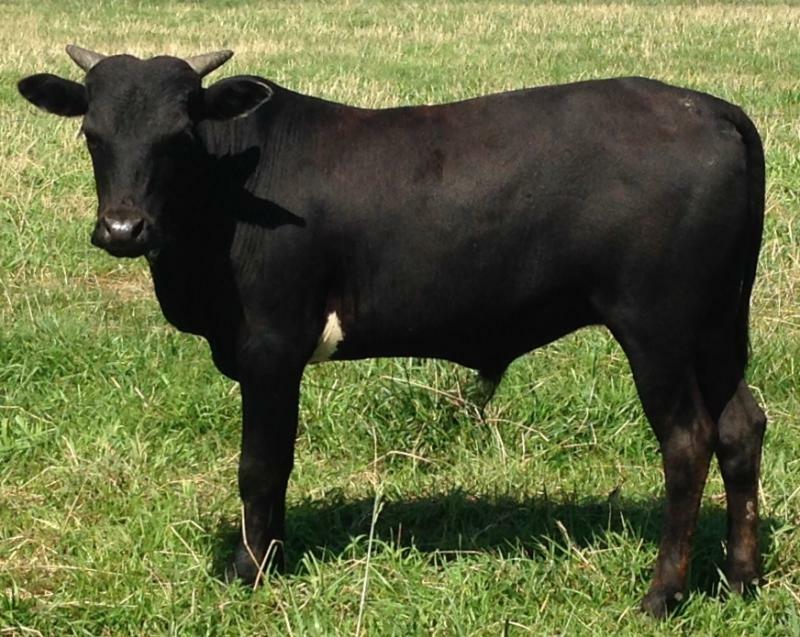 Since we are trying to raise the smallest and healthiest miniature cattle, we are always looking for small bulls. If we can't find them, we raise them. 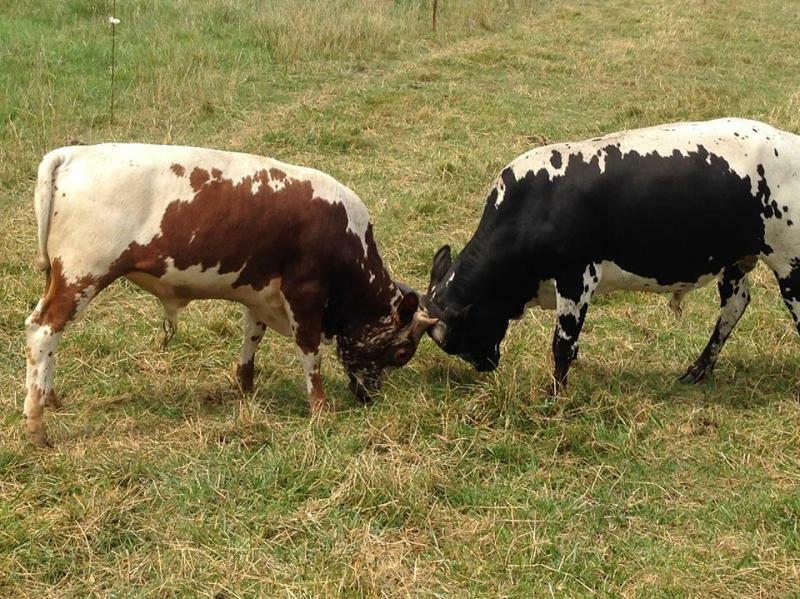 These home-grown bulls will each get a nice group of cows for the 2018 breeding season. We can hardly wait to see what happens. Ted is a 2013 bull. We have high hopes for his calves. He is bred to some of our best cows and we can hardly wait. He was 34 inches tall at 3 yrs old. 35 inches as a 4 yr old. He is built almost perfect. He has a great tail, nice head, just nice all the way around. He is out of one of our best cow lines. He had some great calves in 2017, bred to another nice group of cows for 2018. 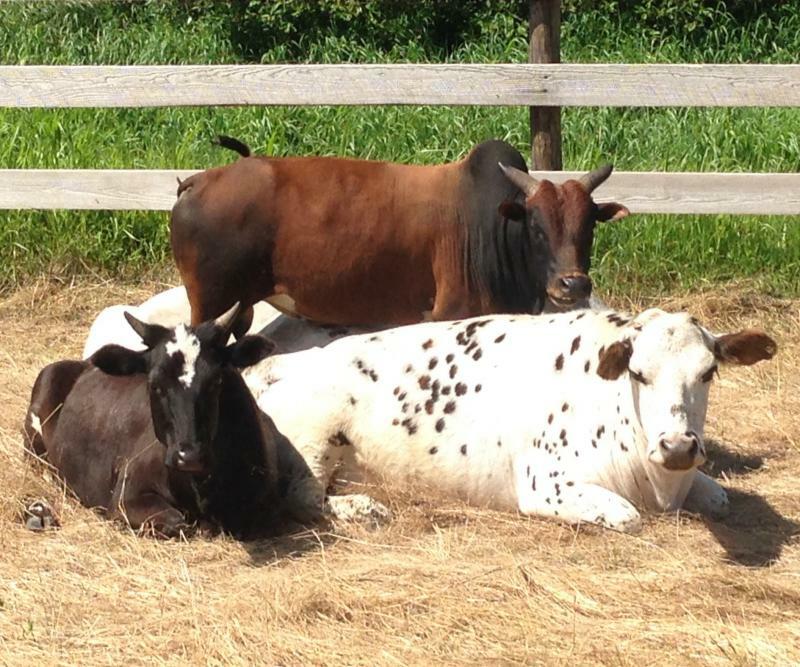 About half the cows are the same, half are new for him. Bullfrog, is turning into a good one. Out of Pepper by Sugar Cain, he has brindle with lots of black. He had some of our best calves in 2018 and is in with more cows for 2019. Measured 34.5 on his 4th birthday. 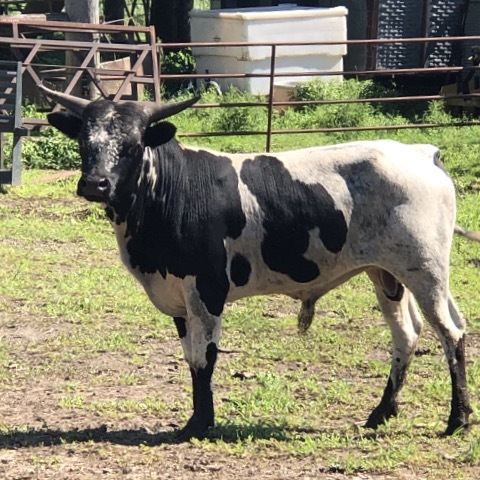 He has filled out nicely and is a great looking bull. Born July 23, 2014. 20 inches/22lbs. 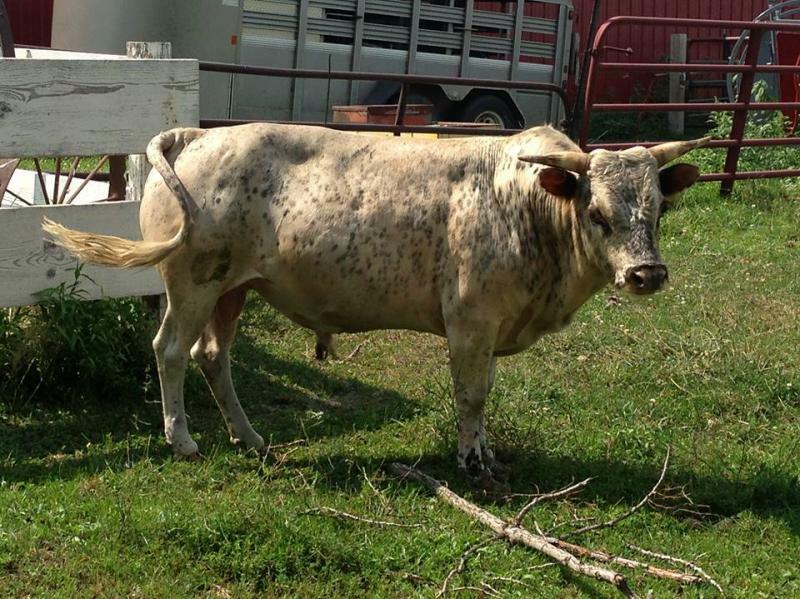 Hurricane, out of a great young cow, Katrina by Rascal, a 29 inch bull. He not only got lots of milk from his morther, but also sneeking some from his grand-mother. He was a little butter ball as a calf. He is 36 inches shortly before his 3rd birthday. He is in with 5 cows for 2018. Born July 7, 2014. 21 inches/22lbs. B-dub is a nice colorful 2 yr old. He was 34 inches on his his second birthday. Out of our 36 inch cow Pitch by 34 inch Boone. He has a great frame, color and disposition. We like the loud black and white color. He will be used on a nice group of small cows. Excited to see what he does. Moose is with 4 females this year. He is our smallest bull at 33 inches. He is 3/4 zebu. We have a son and daughter of his from 2017. They are small and very nice. We have a great group of young bulls we are anxiously waited to see how they grow out. Summer 2019 will be a great one as these guys mature. We got a couple more that are not pictured but just as good. Our calf crop from 2018 may be even better. Maximus is the smallest at 12 months. He was 28 inches tall. Sired by Moose above and Minnie on the cow page. Two of the smallest animals in our herd. Copyright 2009 Pillard's Miniature Cattle. All rights reserved.